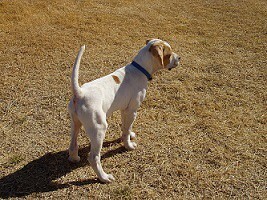 What bloodlines do y'all look for in English pointers and what kennels out there are breeding good dogs? Baited breath. I'm a has been in this area. Last edited by blanked; 02/09/19 09:12 PM. If I'm looking for a good pup then I want one from a Miller X Elhew cross. Erins Kennels, Pinehill Kennels, Hackberry Kennels, Harris Kennels, Ronnie Smith Kennels. I have seen dogs out of most of these and they're impressive.